Director Paul Manulik founded Princeton String Academy in 2005 after several years of running a private teaching studio in the Princeton area. In addition to directing the Academy, Mr. Manulik enjoys a diverse career as orchestral player, chamber musician, teacher and recitalist. He teaches both violin and viola using the Suzuki Method of Talent Education. One of his principal teachers of this method was Doris Preucil, who is internationally recognized for establishing one of the first US Suzuki schools, and from John Kendall, another highly respected founder of the Suzuki Method in the U.S. Mr. Manulik also conducts master classes for high school orchestras and serves as guest clinician at summer festivals. Mr. Manulik has studied with Evalina Chao, St. Paul Chamber Orchestra associate principal violist, and with Jerry Horner and William Preucil. He holds a master’s degree in viola performance from the University of Iowa and has taken additional teacher training from Mimi Zweig, professor of violin and viola at Indiana University and Director of the Indiana String Academy. Violin/Violist, Takuya Horiuchi, joined Princeton String Academy in September, 2013. A native of Japan, Mr. Horiuchi started playing the violin at age four and his first teacher was a pupil of Dr. Shinichi Suzuki. He holds a bachelor’s degree from Tokyo National University of Fine Arts and Music and a master’s degree from The Juilliard School in violin performance. While at Juilliard, Mr. Horiuchi was a student of Robert Mann and studied chamber music with Samuel Rhode, Joel Smirnoff, Louis Kaplan, and Felix Galimir. Prior to coming to New Jersey, he was concertmaster of Orchestra Iowa for fifteen years where he appeared frequently as a soloist with the orchestra and on Iowa public television and radio. He has also performed at Yale and Harvard Universities, Connecticut College and Merkin Concert Hall in New York City with the Center of New Music of the University of Iowa. Mr. Horiuchi has many years’ experience teaching young children at Orchestra Iowa school and his own private studios along with his teaching experience at Grinnell and the University of Northern Iowa. James Keene is a versatile soloist, chamber musician, and music pedagogue. He became co-concertmaster of the Philadelphia Youth Orchestra after playing the violin for only three years. Later, he attended Interlochen Arts Academy in Michigan, received his B.M. from Rutgers University under the instruction of Todd Phillips, and later pursued graduate studies at San Francisco Conservatory studying with Wei He. Starting in high school, he has played solo, chamber, and orchestral performances for audiences throughout China, Italy, Spain, Austria, the Czech Republic, Hungary, Poland, and the USA. Most recently, James won first prize in the Russel Johnson String Competition and shared the Carnegie Hall stage with Dionne Warwick. James has been teaching strings for over a decade and emphasizes correct technique coupled with efficiency and relaxation. 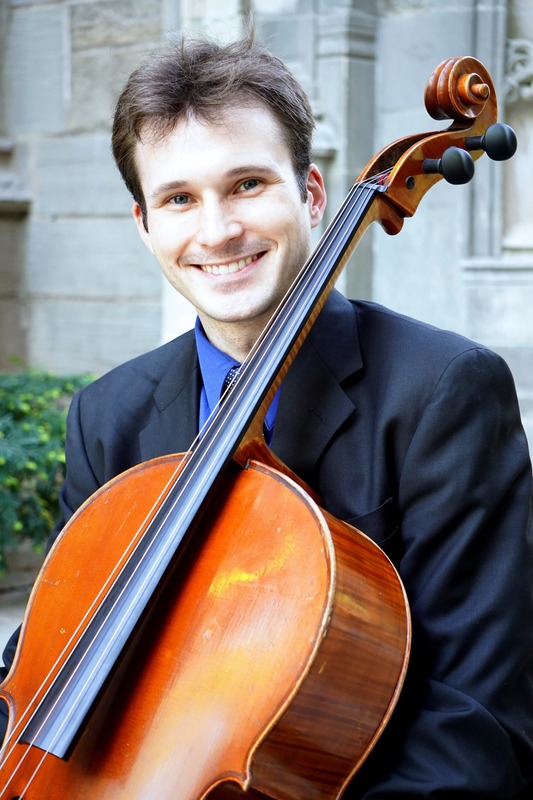 A vibrant performer and avid teacher, Dr. Jordan Enzinger was appointed to the cello faculty of Princeton String Academy in 2016. He also currently serves as collegiate cello faculty at Seton Hall University, instructing music majors and non-majors, guest lectures for collegiate music classes at Rutgers, serves as chamber music faculty at the Rutgers Young Artist Program and the ASTA Chamber Music Institute, is a registered cello instructor for the Suzuki Association of the Americas, and maintains a large private cello studio in central New Jersey. He received his Bachelor’s and Master’s in Cello Performance from Indiana University and his Doctorate in Cello Performance from Rutgers. Dr. Enzinger’s students have performed in Carnegie Hall, won prestigious competitions, received collegiate music scholarships, and are regular contenders in the NJMEA regional and state contests. 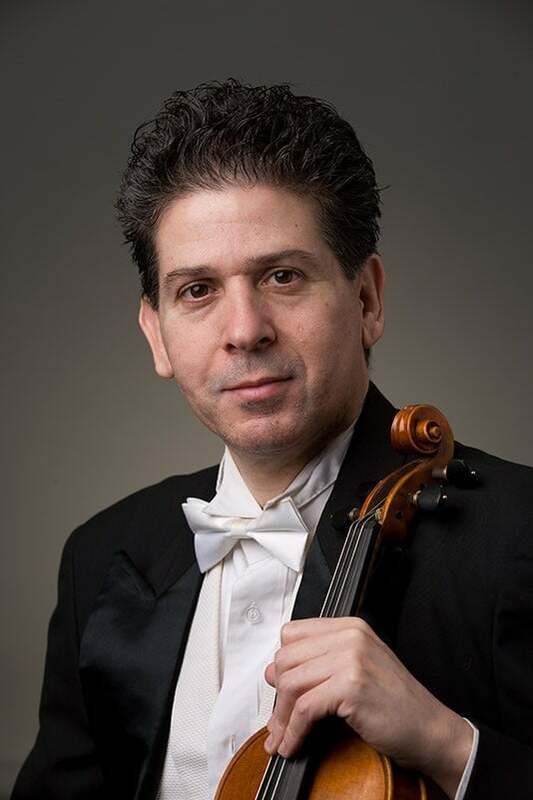 Dr. Enzinger performs with the area’s finest ensembles such as the Orchestra of St. Luke’s, American Ballet Theatre, New Jersey Symphony, and Princeton Symphony, and he regularly performs in venues such as Carnegie Hall, Lincoln Center, and the Kimmel Center. 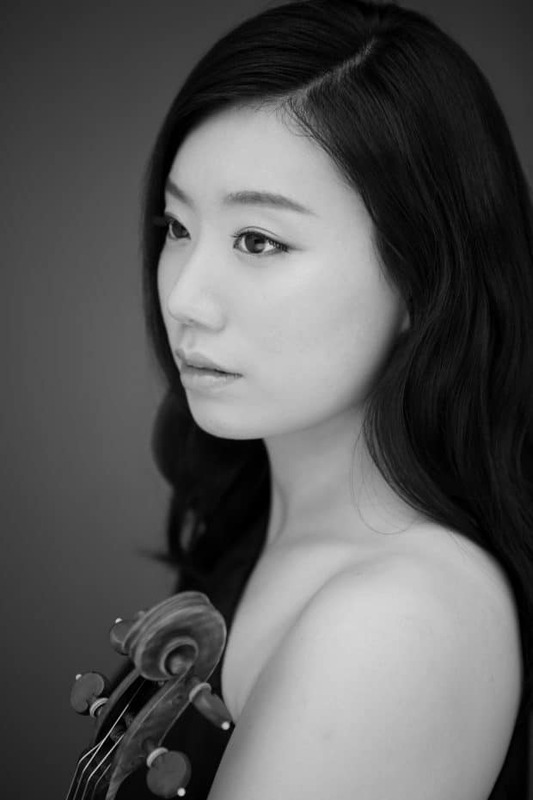 Ms. Cho joined Princeton String Academy in May, 2017, having just completed a Doctorate in Musical Arts, Rutgers University, under the guidance of Todd Philips. Born in South Korea, Ms. Cho attended Yewon School in Seoul, South Korea. She holds a Bachelor of Music degree, Master of Art degree; Postgraduate certificate in Violin Performance from Universität für Darstellende Kunst Wien, and Artist Diploma certificate at Yale School of Music with full scholarship. Ms. Cho has a broad international history of performances and competitions, including festivals such as International Mendelssohn Summer School Festival, Hamburg, Internationale Konzertarbeitswochen, Goslar, Germany, International Summer Music school Hvar, Accademia Di Musica Musica d́ Estate Bardonecchia, Italy, Cuarto Curso Internacional de Perfeccionamiento Musical, Aller-Spain, Norfolk Chamber Music festival; Accentus Musical Music festivals, Slovenia, and others. She was the winner of the ‘Citta Padova’ International Competition in Italy and won second prize at the Governor’s prize for Modern Music at the Gavrillin Governors International Competition in Russia. Her past teaching experience includes secondary music instructor at Yale School of Music and Rutgers University. 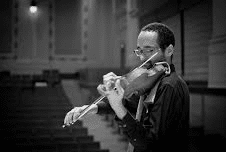 José Gregorio Sánchez received his Bachelor and Master of Music degrees in violin performance from The Juilliard School. His interest in the Suzuki Method led him to The School for Strings of New York, a prestigious international program, where he studied in 1993. Mr. Sanchez furthered his education in the method and received his Suzuki Violin Certificate Diplomas from the Suzuki International Festival in Lima, Peru and the Temple Music Prep Program in Philadelphia. He is a consistent advocate of the Suzuki philosophy and approach to teaching and loves the spirit of community and engagement that the Suzuki method offers families and instructors. A native of Barquisimeto, Venezuela, he studied under the guidance of Dary Retamoza, Antonio Urea, and José Francisco del Castillo under the auspices of the National Youth Orchestra, which is now El Sistema. His teachers also include Margaret Pardee at The Juillaird School and Masao Kawasaki at Brooklyn College. Mr. Sánchez has been teaching and performing as a soloist, chamber and orchestral musician since 1988. In 2012, he founded “A Tocar Mazatlan” an El Sistema-inspired program and served as the Director of the Children’s Orchestra from the Institute of Culture in Mazatlan, Mexico.